Have a great beginning of the week everyone! Your skirt is so pretty and i love your sweater too. Love this style. Absolutely love this look!! Amazing styling girl! wow this is a great look! lovely for summer! Amazing, that skirt is too die for ahhh! 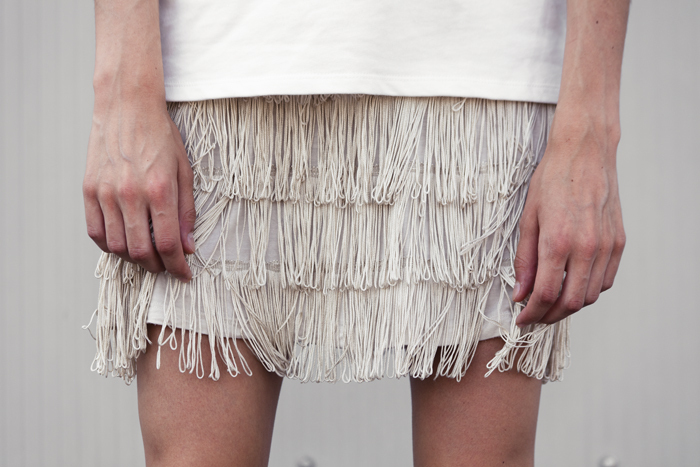 I need a fringe skirt in my life! Or a feathered one - they're so hard to find. You look great!